A Visit from the First Lady! 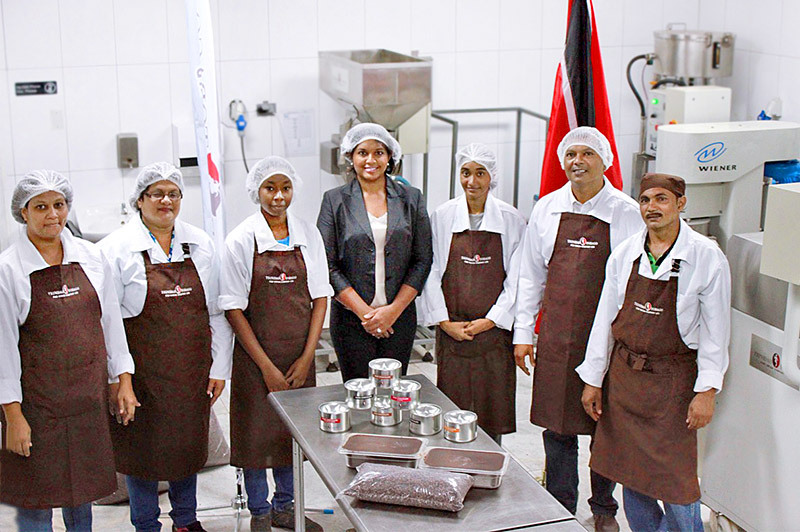 The TT Fine Cocoa Company was honoured to have a visit earlier this month from the First Lady of Trinidad & Tobago, Her Excellency Mrs Reema Carmona. The visit included a tour of our state-of-the-art processing facility and newly established cocoa storage unit, which we affectionally call ’The Library.’ Housing a collection of some of the finest single-estate cocoa in the country, the storage unit is climate-controlled and allows us to ‘rest’ the cocoa after processing to enhance its flavour profile. Both the President, His Excellency Anthony Carmona and the First Lady passionately support the rehabilitation and promotion of T&Ts cocoa sector.